Much of the world blinked uncomprehendingly when the Nobel Committee first announced the winner of the 2016 prize for literature. Bob Dylan. Yes, that Bob Dylan. The folk singer. The rock star. The counter-culture hippie poet with a marginal singing voice. In some circles that stunned silence morphed into contempt and even outrage. Placing Dylan on a list like that was insulting. The prestige of the Nobel Prize for Literature would be forever diminished. By contrast, D ylan’s Nobel honor put a smile on my face. I’m a Dylan fan. Especially early Dylan. “Like a Rolling Stone” and “The Times They Are a-Changin’” appealed to me when I was younger. By “god” here I’m referring to whatever it is that individuals and communities believe will give their lives meaning. Whatever will make their lives matter, make their lives significant. Even if we make no conscious decision on the matter, our habits and actions—the patterns of our lives—betray what god we are worshipping. We can so devote ourselves to power, prestige, and possessions that they function as our gods. The pursuit of them shapes how we act, the relationships we form, the values we inhabit, how we think about ourselves, and how we treat other people. The Bible refers to small “g” gods as idols. Applause fades. You can’t take your stock portfolio with you beyond the grave. Every athletic record gets broken. Every president, world champion, and Nobel prize winner is replaced by the next one. At the dedication of the first Temple, King Solomon said as much. “O Lord, God of Israel, there is no God like you in heaven above or on earth beneath, keeping covenant and steadfast love for your servants who walk before you with all their heart.” (1Kings 8:23). 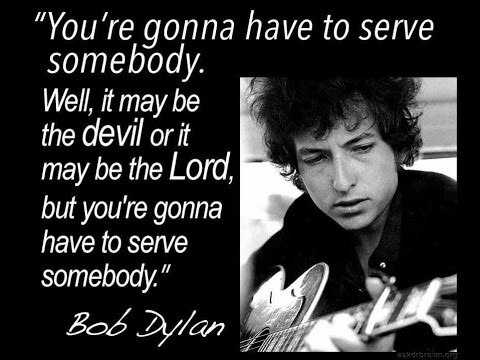 We’re all gonna serve somebody. The patterns of our lives will reveal who or what that is. We are all going to have choose who we are going to serve. About 20 years ago, I was having lunch at Bob Evan’s with a few of my friends. We were talking and laughing and just having a good time. As we were getting ready to go, I looked up and noticed that a woman sitting at the table next to ours had a very strange look on her face. No one sitting at her table seemed to notice her appearance. Suddenly she stood up. No words. No noise. Just silence. She then started to wave her arms to get the attention of those sitting at her table. I got up from my table and ran over to the now frantic woman. I am not sure what it was that made me react. I have never had formal training in performing the Heimlich maneuver, just what I had read on a chart at work. The only thing I knew was that she was choking and no one was doing anything about it. I spun her around and I threw my arms around her. I squeezed. Whatever was lodged in her throat shot out of her mouth and I heard her take a very loud gasp of fresh air. Within seconds the color came back to her face and although shook up by the whole event, she sat down at her table. The look of panic on her face was now replaced with a look of disbelief. That was the same look that was on my face as I turned around to head back to my group of friends. No words were spoken. Everyone around us was silent. It was as if we all were in denial that what had just happened was real. We all were in shock that the event even took place. I had this sudden feeling of panic setting in and I just picked up my coat and bill and made my way to the cash register. All I wanted to do is get out of there. This happened so quickly that most of the people around us did not see it. I do not know how long the woman had been choking but for me, the whole event was a mere 15 to 20 seconds long. It was so surreal that it was like I was just a robot and I was just doing what I had been programmed to do. All I knew was that for some reason, I had to get out of there. As I got to the cash register, the manager came over and took my bill. He wanted to pay my bill and get my name and I was telling him that was not necessary. I did not want to make it into a big deal and I was just glad that she was okay. I then felt a tap on my shoulder. I spun around to see who it was and it was the woman who had just been choking a few minutes earlier. Our eyes met and she was trying to come up with words to say. As tears filled her eyes, the only words that she could mouth were, “thank you” and she started to sob. I did not know what to do. I looked at her and said, “It’s okay, we all need second chances”. I don’t know why I said that. It just came out of my mouth. Much like the whole event. No plan or preparation… just a reaction. She hugged me and I hurriedly left the restaurant and I never gave her my name nor did I know hers. I have never talked about it with anyone. I am no hero nor do I ever want to get recognition for the event. I just happened to be at the right place at the right time. Who doesn’t like second chances? We all can think of times in our lives that we would like to have a chance to start over. Don’t you wish there was a big red “DO OVER” button that we could push whenever we messed up? If you are like me, the button would get worn out because of the number of times it would need to get pushed to cover all of my mistakes. In truth, we all like to have our faults overlooked, we’re not so good at overlooking (or forgiving) the faults of others. Why is it that we think everyone else should get what they really deserve, but we should be given a break? Why is it that it’s okay for us to take a mulligan, but we get irritated with others who do? I don’t know. What I do know is that this random, chance meeting of two people in a Bob Evan’s restaurant in Toledo, Ohio has made me a better person. It has allowed me to consider the fact that God’s entire kingdom is built around second chances. He gives us breaks, forgives our sins, moves us into a different future… and this to people who have blown it again and again. So consider this, for every breath you take… you get a second chance. A chance to get it right. Another chance to accept Jesus Christ as your Savior. A chance to forgive and be forgiven. Another chance to say “I love you” to those that need to hear you say it. A chance to “right a wrong”. With each breath you take, you have a chance to change your life forever. Sometimes I wonder what that woman did with her second chance. Did she “right some wrongs” in her life? Did she love her husband more? Hug her kids a little tighter? Did she have or start a better relationship with God? Did she tell the people in her life that she loved them more often? Did she become a better person? I do not dwell on these questions because I will never know the answers to them. What I now realize in my life, is that when our paths crossed on that fateful day, I was an angry person. A person who was controlled by a temper that was not in check. I blamed everyone else for the problems in my life. I was a frustrated person that took out his anger on people who did not deserve it. I had carried an angry, bitter, unforgiving attitude for a few years during that period of my life. That day was the beginning of change. I am not sure if that woman made any life-changing decisions as a result of this experience. Maybe for her, it is just a story to tell her children. For me, I cannot help but think that the second chance that was given by God that day wasn’t intended for her at all. It was 5:30 P.M. on a beautiful Tuesday afternoon in Ohio. I am driving home from my meeting in Columbus. 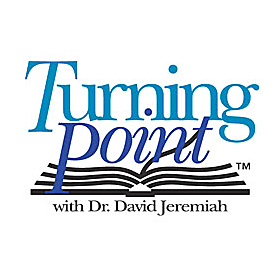 I just can’t find any music that I want to listen to, so I finally stop on a radio station that is playing a program called, “Turning Point” by David Jeremiah. I have always enjoyed listening to Dr. Jeremiah. He has been able to challenge and encourage me every time I hear him speak. I listened to him for about 30 minutes when the program ended and the radio station started playing a few songs before it transitioned into the next program. And then, the station played an old hymn of the church. O, what peace we often forfeit, O, what needless pain we bear. All because we do not carry, everything to God in prayer! All of a sudden, tears began flowing down my face as if a dam had broken inside of me. The tears kept rushing down my face uncontrollably. It had been years since I had heard this old hymn of the church, and I soon began to realize that I was remembering times in my life. The first memory took me back to the age of ten years of age when I accepted the Lord into my life at the back of Robinson’s Funeral Home in Oak harbor, Ohio. I literally could visualize myself sitting with my Aunt Brenda as she explained to me the gift of salvation that Jesus provided for the world. These memories continued as the song filled the cab of my pickup truck. As the song progressed, I moved from thoughts of being that little 10-year-old boy into a grown man, encountering all over again situations and circumstances of my life that I had, in deed, taken to the Lord in prayer. The memories spanned a good portion of my life ended when the song ended, and I was still wiping tears away from what I had just experienced in a 3-4 minute time span of the song. It was enough time to remind me of the faithfulness of God to answered prayer when I, had indeed, taken everything to Him in prayer. It was also a reminder to me that I needed a cleansing of a coldness that had settled in my heart recently. I was so grateful that all my sins and griefs he was now bearing once again, as I sat there silently confessing them to Him. How refreshing those tears felt as He gently cleansed me. It was a time when I reflected on the peace that I had forfeited at times when I didn’t take it to the Lord in prayer. Oh yes, there were many times that I had experienced needless pain. As I made my way home, I realized that this old hymn of the church had, shall we say, re-fashioned me on the inside. 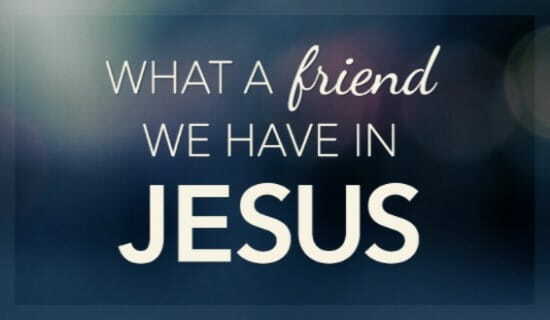 After all, He calls us His friend.